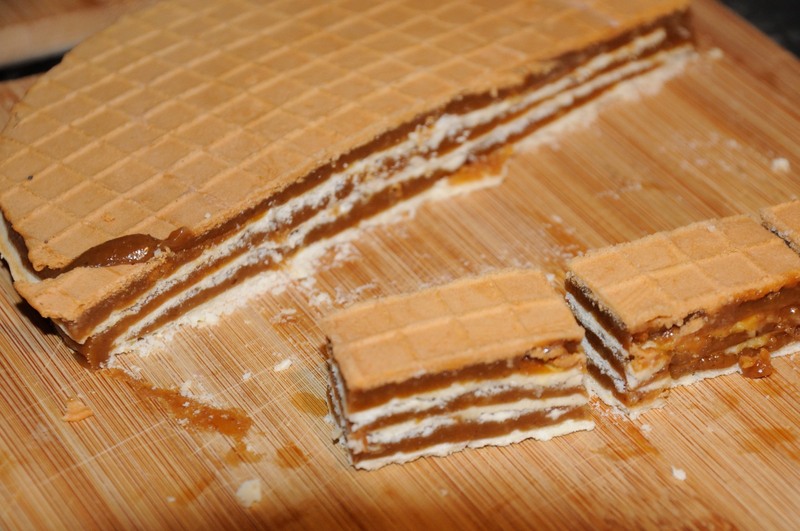 Griláž, or grilážky, are a favorite treat of mine. 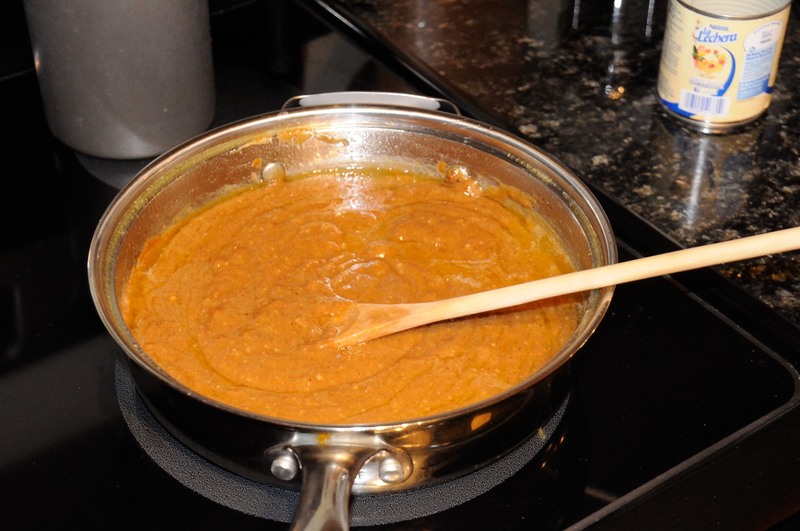 I am always looking forward to visiting my grandma Pavka as she makes these often. 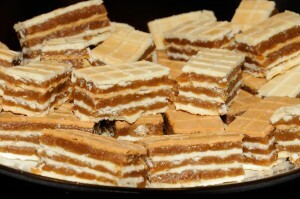 They are wafer sticks filled with a sweet nut caramel filling. Sandra and I made these last Christmas for our annual Christmas cookie gift baskets. 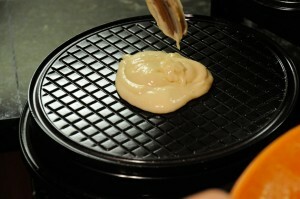 To make griláž, you will need a waffle iron. Our first experience was with an iron I got from my mom for Christmas few years ago, and it turned out to be a disaster. That iron, a small red thing from Bella Cucina, got too hot to handle, and the waffles came out burned on one side and not done on another. At one time, the lids got stuck, and we had to yank the power plug from the wall before the iron almost caught on fire. This second time we used the Chef’s Choice Waffle Cone Express with much more success. Highly recommended! Start by making the waffles. 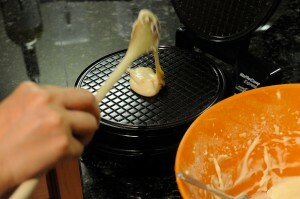 We simply used the recipe for “Gourmet Waffle Cone” that came with the waflle maker. 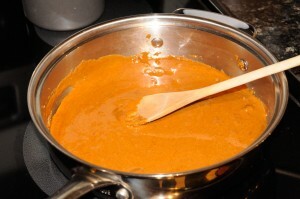 Simply combine the ingredients and blend together. Do not overmix. 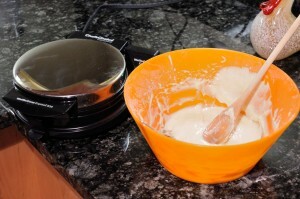 Preheat the waffle oven and bake according to the oven instructions. Next let’s make the filling. Start by grinding the nuts. You can start using a food processor, but to get the smooth texture needed to make the creamy filling, you will need to run them through an old-fashioned nut grinder like the one shown above. 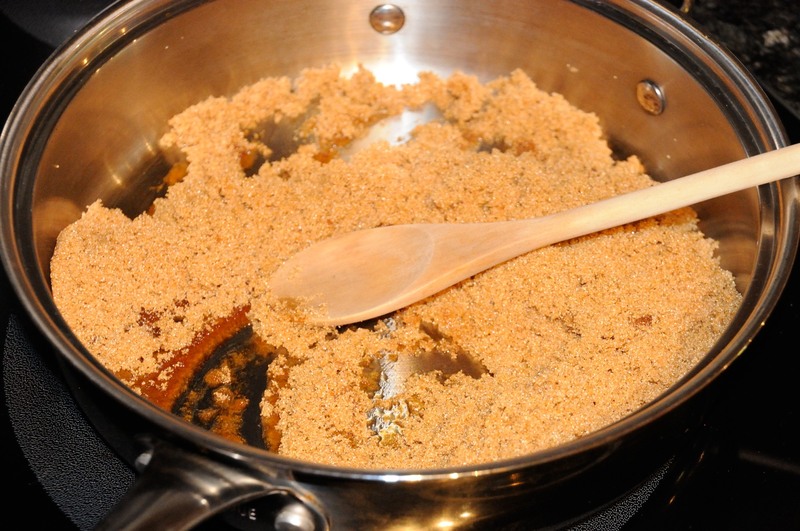 Melt the sugar on low heat until it turns into caramel. 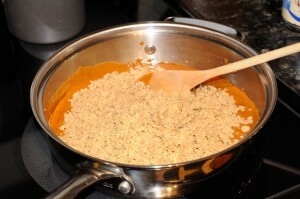 Then add the ground nuts. 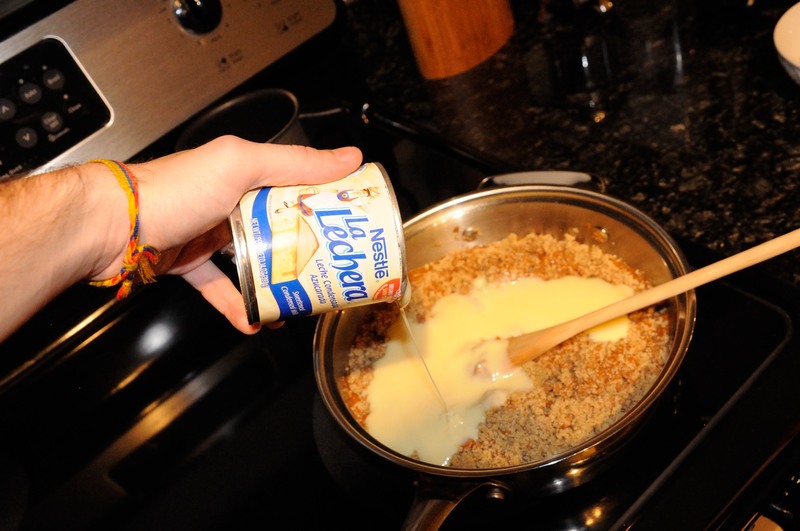 Add in the condensed milk and margarine and stir until you get a creamy filling. 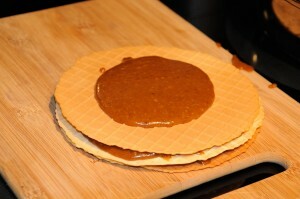 Once the filling cools down, fill the wafers. We made ours with 4 wafers and 3 layers of filling. 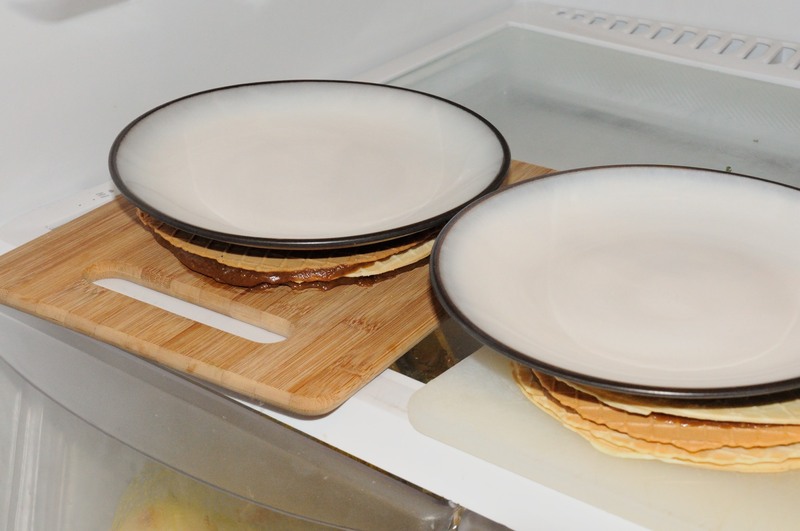 Weigh them down by placing a plate over them and place in the fridge overnight to let set. This will make slicing easier as the wafer will soften and be less brittle. 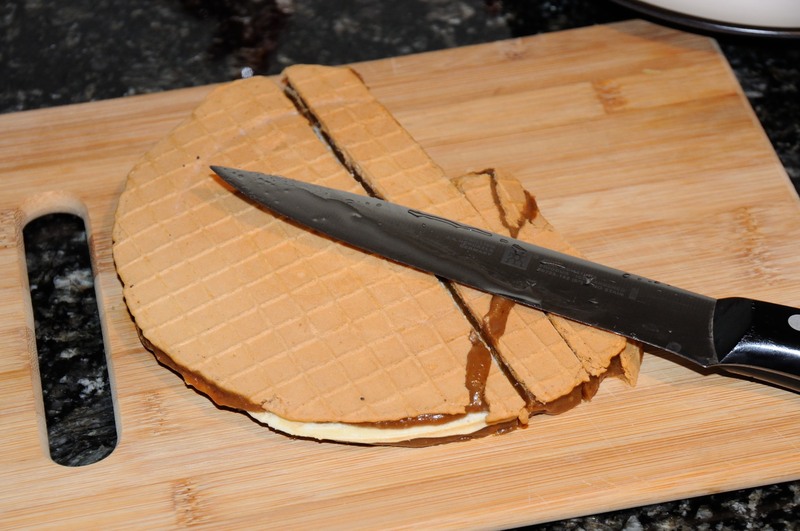 Next day, slice the wafers using a wet knife to make the waffle cookies. Enjoy! Interesting cookie. I’ll have to give it a try. 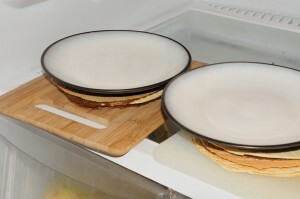 I have krumkake and pizzelle pans , thinner wafer then waffles. Can you share a link to what these are? 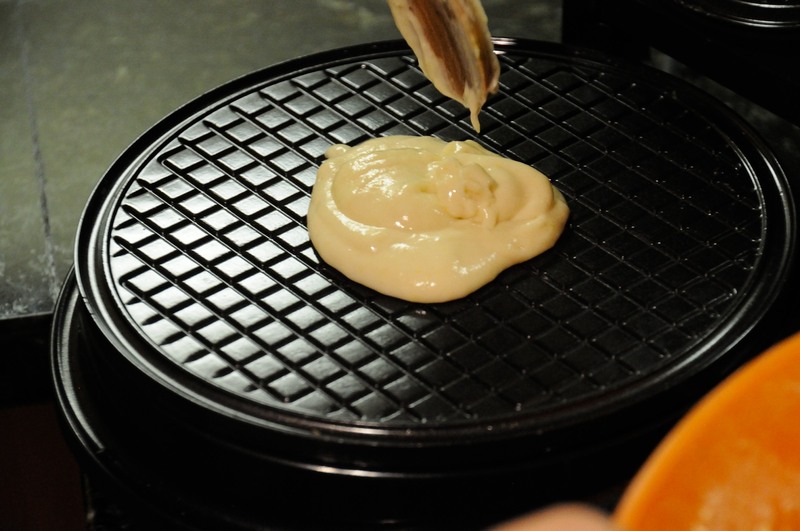 We used this waffle iron because it was the closest thing we could find for making the wafers. In Slovakia, you can find the empty wafers in a grocery store but no so much in the U.S.
“griláž” is definitely my favorite. My uncle Jojo and I always fought for last of the pieces. I never have trouble to get waffles at polish stores– in rectangular shapes preferably. Try variation when you dip half of cookie in melted chocolate and let cool. Wonderful! Glad I found your website. I hope you have a lot of traffic. My grandfather was probably Slovakian, but memories are fading fast. 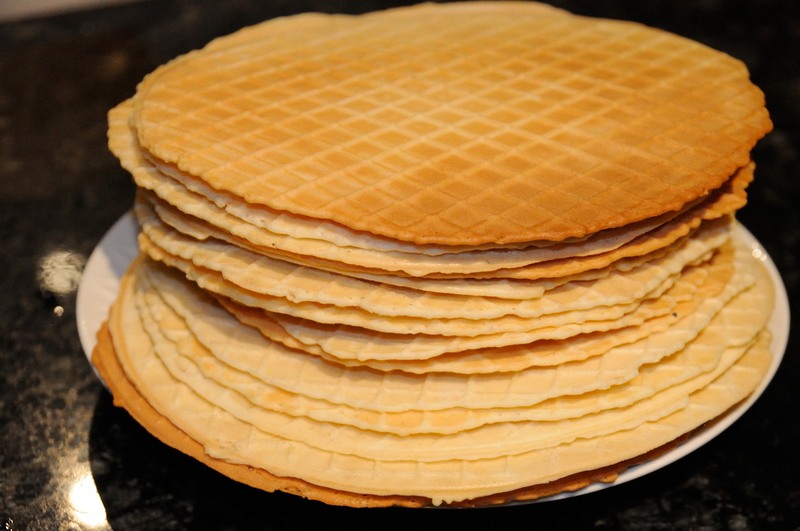 I certainly have a taste for wafers like this, and anything made with nuts. I will consider how to make this wheat-free as I can’t tolerate wheat. Maybe buckwheat flour. It will look different, but probably taste good. MY daughter had several packages of puzzles and I make the filling for them and they were a hit. Came out perfect. Stacked four cookies and filled them. This reminds me one treat that my mother-in-law always brings us from Slovakia: ‘horalky’. Wonderful! I bet the home-made stuff, it’s even better. 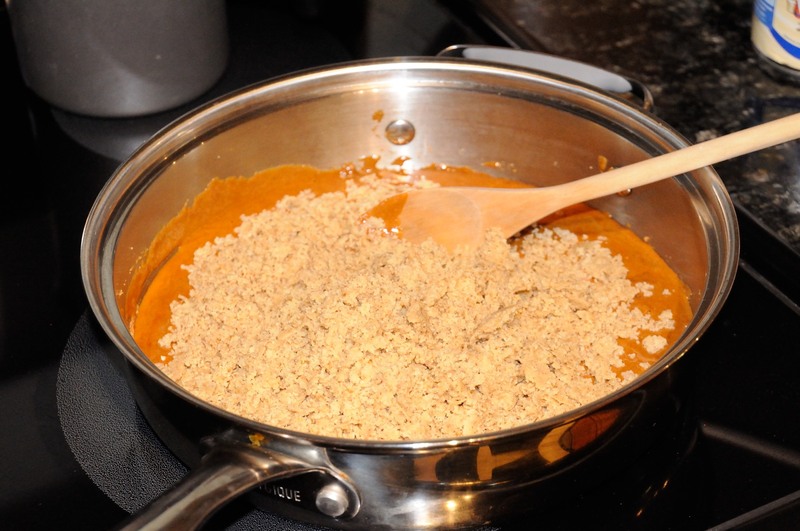 Hope you got the chance to try the Colombian kind: ‘obleas’. 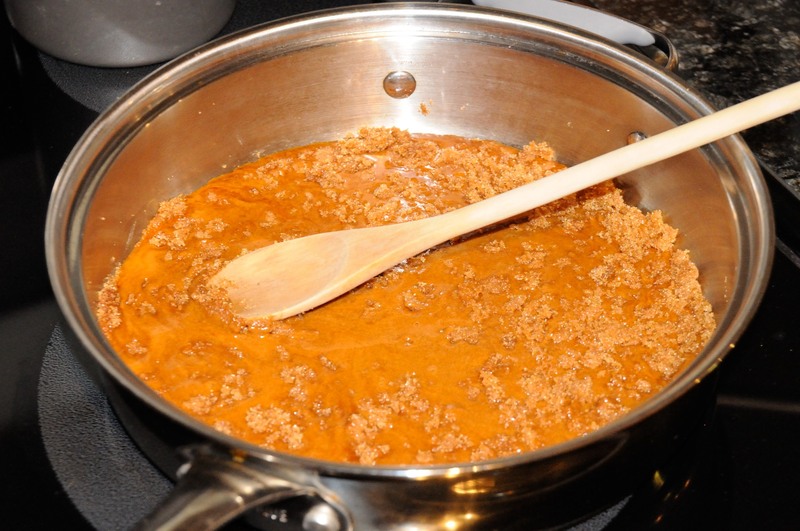 Thanks for all the great recipes, it has been so helpful, my Slovak husband is always missing good old Slovak food. Hey Lubos, my favorite are Fidorky also! I love Minonky and special treat is Kofila 🙂 but I enjoy all of them, especially whatever I have left! I can’t wait to try making these! We were at the spa in Bardejov and they sold the “waffles” in many different flavors. I think we bought 6 different flavors (at least 10 waffles per pack) and ate them all! Thanks for posting recipes for all of our favorite foods from our travels through Slovakia – eating the food brings back fond memories of our time in this wonderful country! 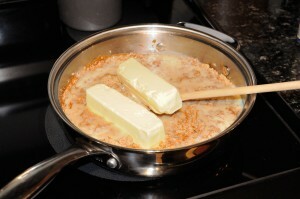 Thank you so much for taking the time to share the recipes. I have a poppyseed grinder. Would that work to grind the nuts. Also, I have a Russian store that sells packages of the waffles in all favors. I cannot wait to try your recipe. I went to Slovakia for the first time last year. I absolutely fell in love with the country, the people and the wonderful food. I have reserved a flat for the month of May in Banoce nad. I am so excited to learn more cooking while I am there. Hi Deanna, it sure would. 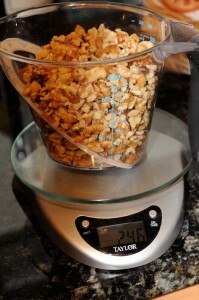 You just need to chop the nuts first in a food processor. 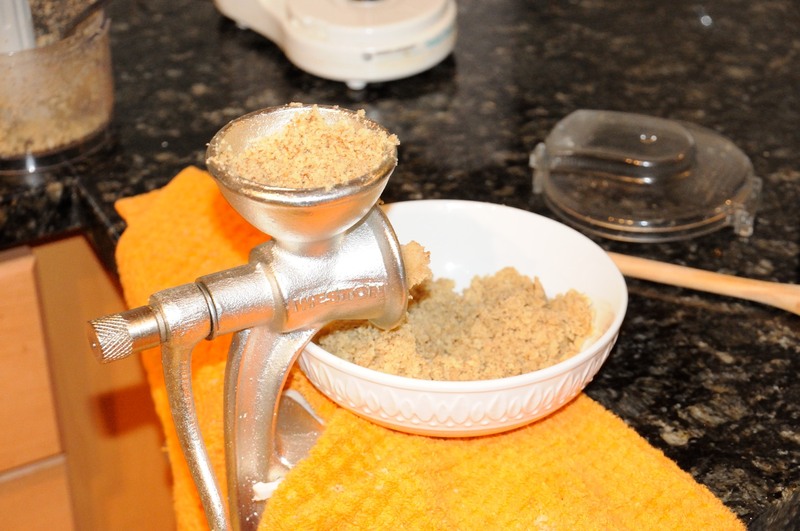 You can actually see a photo of me using the same old-fashioned grinder I use for poppy seeds to grind nuts in this recipe for walnut cookies. My daughter did a project for her Countries around the world and Slovakia was her chosen country. We made this for the family night and they were a big success and simple to do. My deceased grandmother was hungarian and used to made slice like this but it had like a dough layers. It was definately not made from waffles. Do you have any idea what it might have been? I have a picture if it helps. I’m looking for a Slovak cookbook in English. Any suggestions?